Actor and martial artist Phil Morris has been entertaining the world for over three decades. The characters he’s played range from fast-talking lawyer Jackie Chiles on Seinfeld to Superman’s mentor Martian Manhunter on the long-running hit Smallville. From indie hit Black Dynamite to Disney Channel’s Shake it Up to starring in four seasons of the recent sitcom Love That Girl!, Phil is living his dream as an entertainer. 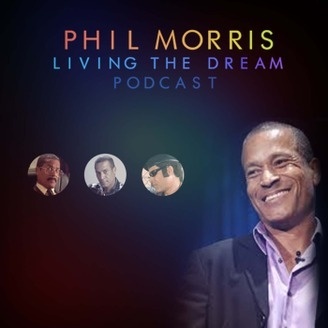 Phil’s podcast is a series of inspiring conversations with actors, athletes, artists, writers, and business people who have achieved something great. They’re living the dream and so can you! Listen, subscribe, and join the conversation.